Even 5-7 gives them hope for a bowl game since their academic average would likely put them in contention. I'd rather them come into the UT game at 4-7 with those hopes instead of 5-6. 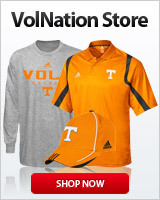 Meh, maybe but it would also to be such a Vandy thing that they got to a bowl but still couldn't have a winning season. Plus whatever bowl it was would be cursing they had to take them because they have no fanbase to travel. A 4 OT slapfight won on a FG that leaves both teams mentally and physically drained going into week 6 wouldn't be bad. As a Vol fan, I would like to see Vanderbilt beat Florida. That would give Fla two conference losses and would give Tennessee some breathing room. I want to see both teams lose. I predict a lot of blank stares from Mason and shots of McElwain with a frustrated look and his teeth sticking out. Best case? The slap fight you mention ends with some kind of ugly, knuckleball FG for a Vandy win. Vanderbilt then goes on to lose in hilarious fashion the remainder of the year, while Florida implodes. They scratch out wins against Carolina and Presbyterian, yet lose their final game against FSU to leave them at 5-7. Since Vandy's ruined their season (well my version of their season) by winning 2 games, I'm fine with them winning 5 games. I'd love for them to go into the final game with us with 5 wins and start crowing about beating us and getting to a bowl and us to repeat 1994 and beat them 65-0. I don't think UF is very good; not 4-8 but more like 7-5/6-6 so I won't be shocked if they lose or win very close. Knowing Vandy, they'll probably be up 10 with about 2:00 to play and find a way to lose. That was my first Vol game haha. It was great! Right now, Florida is a 10 point favorite. Florida will easily cover -20 this week against Vanderbilt. I agree with this. Will be surprised if Vandy loses by less than 21. I thought Vandy always kept it close against FL. Vandy escaped WKU I expect them to get killed this weekend. It was awesome. It was the first time i remember the stadium being probably slightly more Vandy fans than UT fans, but it was still close to 50/50. If I remember right, UT got the ball first and I want to say scored on the first play from scrimmage. Never looked back from that. And DiNardo got out of dodge as fast as possible. maybe its just the architecture side of me but I found this hilarious when talking about the new stadium designs. I love the ship idea...maybe on top with more luxury boxes in the hull.....scoreboard worked into a sail design....a cannon for every time we score. This would be different. they have absolutely no idea about their history as "Commodores". and so much wrong with the above anyway beyond the fallacy of their Commodore moniker. It's not like that cannon is going to be used much. Should be a spaceship stadium. They fly to other teams venues and fly away when they lose. Lol, what a terrible day for Vandy fans. Yet another SOV performance where they did just enough to lose to a team like Florida. Then they watch the UT/UGA game and have a fleeting moment of glee when Georgia goes up with 10 second left, only for it to be crushed on the hail mary. I can only imagine how all 15 of them raged last night. Vandy is letting TSU's band play instead of their own band at their homecoming game this year. I really think Zeppos and David Williams are secretly masochists and enjoy seeing Vanderbilt be a laughing stock. I get TSU has an entertaining band, and so it's a no brainer to let them peform. But to give them the whole halftime time at Vandy's own homecoming is pretty much your own admin telling the program how little they care about them. Does Vandy still use Belmont and David Lipscomb students for its band? Fun fact....Vandy's record with Mason as head coach now sits at 9-20. Nerd Alert!!! Read the first two posts, they are long, but worth it. they are waxing poetic about how they are similar to Venice, Italy. the current comparison holds some water but the second guy has no clue. as much as I enjoy reading creative alternative history this is beyond belief. Vandy has not been anywhere close to Venices level of importance. at best Vandy is Corisca, never amounts to anything, is owned by someone else and is only consider Italy (SEC) because of geographic proximity. with Kentucky getting the home field advantage. But that means little, of course. Kentucky has upped its offensive play a bit since Sept. 10. Funny he decided to compare those games, but not the compare what each team did against SC; considering VU lost to SC and UK beat SC. They must have damn good drugs. Or the fact that Del Rio played against UK but Vandy got the backup after a team wide humiliating game against us. Spoke today with someone in the know at VU. Said unless Mason loses out he will be back next season. Said the people who matter (not even within the athletic department) believe he is the right personality and coach for the university. Wins don't matter to them, but "quality people" do. But to my surprise he said it's almost publicly known Mason is shopping around to leave VU. Maybe he knows he isn't meant to be a head coach. Doesn't have the IQ, in football, to really understand all the phases of the game. (His words not mine) The athletic department would not prevent him from leaving, and according to him, they have a list of candidates they would have lined up to hire. I wonder what Mason's buyout is. There's very little chance someone pays his buyout simply to hire him as a DC. So he will either have to resign and forfeit the buyout or hang around until he gets fired, which apparently may never happen. Interesting scenario. I'm sure the money and "control" of being a HC of any program is nice, but if Mason knows he's in over his head, he might be willing to just forgo the buyout money and get back to being a DC.